The Second Survey contains a collection of images from the project of the same name, with a preface by Peter Misfeldt. Each book purchased here are personally signed by Peter Misfeldt. 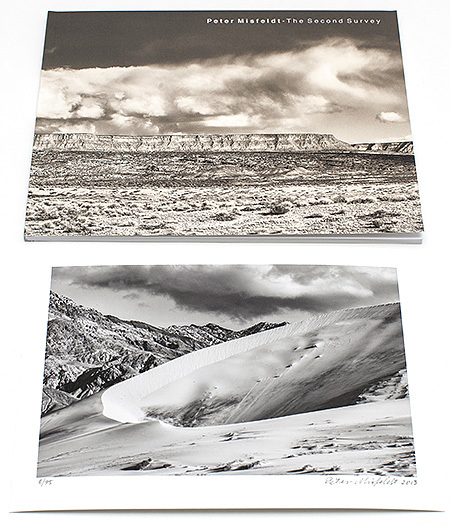 60 pages, 25 x 20 cm / 9.8" x 7.8"
The Deluxe Limited Edition is limited to an edition of 75 copies. Each copy is individually numbered and signed by Peter Misfeldt and comes with a Gicl�e Print made exclusively for this edition. Each print is signed and numbered by Peter Misfeldt in correspondance to the book it is accompanying. The book itself is 60 pages, 25 x 20 cm / 9.8" x 7.8"